This website was launched just 48 hours and we were looking for something nice to start our blog. Well, we found a beautiful story. So beautiful that we are sure that you will start your day with a smile. Take 6 minutes for watching this short animated film by Walt Disney Animation Studios, created by 12 artists and directed by John Kahrs, first-time director. The film is already Oscar-nominated and while watching you will understand the reason why. 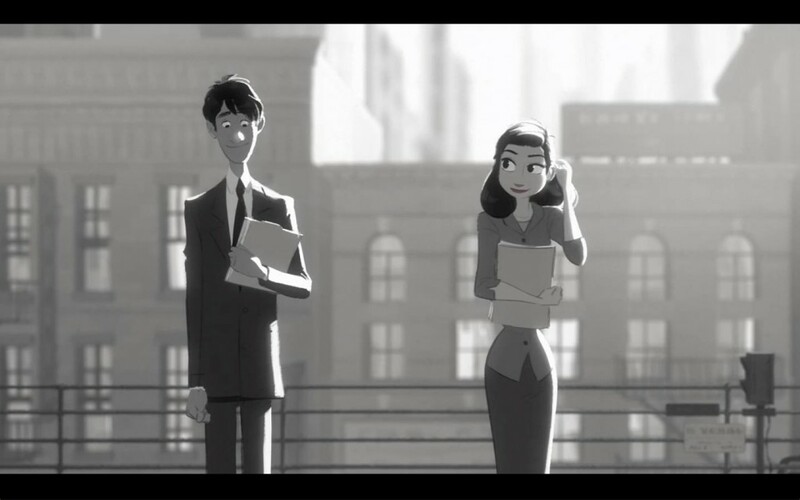 Paperman is a mix of hand-drawn animation and computer graphics, a romance in Mad Men style, set in a black-and-white Manhattan, where the only color is .. no, we will not say, otherwise you will lose all the magic of the fairytale! Manhattan, New York City, white-collar workers, the business that comes first, people that often are placed after business? No, none of that. That’s a story of a Whynotter. That’s a story for Whynotters. As written by Mashable, if at the end of the film you will want to run out of your office to kiss a stranger, no one will blame you. If after being inside to the magic of this story, you will want to show your love to someone .. well, do it! After all, if you are on this page, perhaps this means that you are a Whynotter, too.